Cancer has forced me to miss a lot of things. I don’t like to dwell on it, but it’s true. I’ve missed parties and dinners and weddings and concerts. I’ve missed monthly visits to Theresa’s family and southern Indiana’s warmer climate. I’ve missed making spur-of-the-moment plans. I’ve missed going to work. I miss my moments of zen on the Metra–listening to a podcast, reading a book or even just napping. I miss having the stamina to stand on the platform in the chilly morning air and wait for the delayed train and then stand some more when the train that shows up is inevitably packed to the gills. I miss reporting to my cube and saying good morning to my coworkers. I miss putting my lunch in the refrigerator. I really miss the days that I didn’t pack a lunch and took the elevator down to my office building’s all-too-convenient Potbelly’s location. I miss oatmeal and chocolate chip cookies. Do they cause cancer? If so, we might have found the missing link here. But today I was reminded of something that I miss dearly and will definitely not be able to resume until I’ve officially dumped da lump: teaching journalism at Northwestern. The impetus for this reflection was an article coincidentally shared on Facebook by my favorite journalism professor that asks the question: What’s the point of a professor? The article basically posits that students are more concerned with grades than having their lives and mindsets changed by a wizened professor, and that professors are more likely to give away good grades than spend adequate time challenging and engaging their students. I’m not interested in debating those arguments right now. I just want to talk about why I like to teach. I started teaching at Medill five years ago, when I was a fresh-faced 27-year-old who wasn’t sure he really had any business doing this. But I had a master’s in journalism and enough confidence to sit in front of a computer lab of 15 freshmen and teach them how to responsibly tell stories using multimedia tools. Several years and several labs’ worth of students later, I happen upon them out in the real world producing cool content and advancing in their own careers. I can’t take credit for their talent or success, but I do take pride in knowing that I was one of their first journalism instructors and that maybe something I said is still rattling around in their heads or guiding their storytelling instincts. As an adjunct professor who is not working full-time for the school, I exist largely outside the machinations of academia and I can concentrate solely on the class I’m teaching and the students in my class–even if they don’t always concentrate on me. (I once had two students G-chatting with each other across the table and giggling aloud as I dropped my pearls of wisdom. Thus was born the “laptops closed when I’m talking” policy.) I enjoy getting to know my students and watching their work improve over the course of the quarter and the course of their careers. I love that end-of-the-quarter moment when they are out of their minds with exhaustion but I can still see that they’re actually sorta kinda a little bit proud of the final project they just spent a couple weeks producing. I relish reunions with former students–sometimes an organized affair over pizza–but more often just a brief chat before or after class as I prepare to teach the current batch of freshmen and they rush off to whatever student publication or activity they are now in charge of. 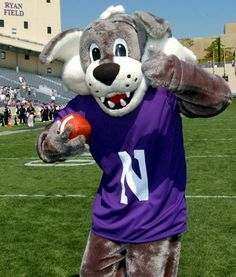 Some seek me out specifically for letters of recommendation or advice on what classes to take or the all-important “Is Medill really for me?” chat. Almost exactly a year ago, I had the tremendous honor of receiving the Medill Students’ Choice award–selected by student vote from all adjunct and full-time Medill faculty. I even got to cross something off of my bucket list by giving an acceptance speech! It felt so good to be recognized for something that I have poured so much of my extracurricular time and energy into, and to know that my former students appreciated that effort. Teaching is a rewarding gig because many of my students are just good people, too. When I learned at the end of January that I did in fact have cancer, the winter quarter had already begun and I was just getting to know another lab of students…including a few repeat gluttons for punishment who had me for the first half of the class in the fall and signed up to take the second half with me as well. It took every fiber of my being not to tear up as I delivered the news that I would have to stop teaching and saw a room full of very concerned freshman faces staring back at me. Even though it had only been a couple weeks, several of them sent me messages of encouragement and hoped to keep in touch. 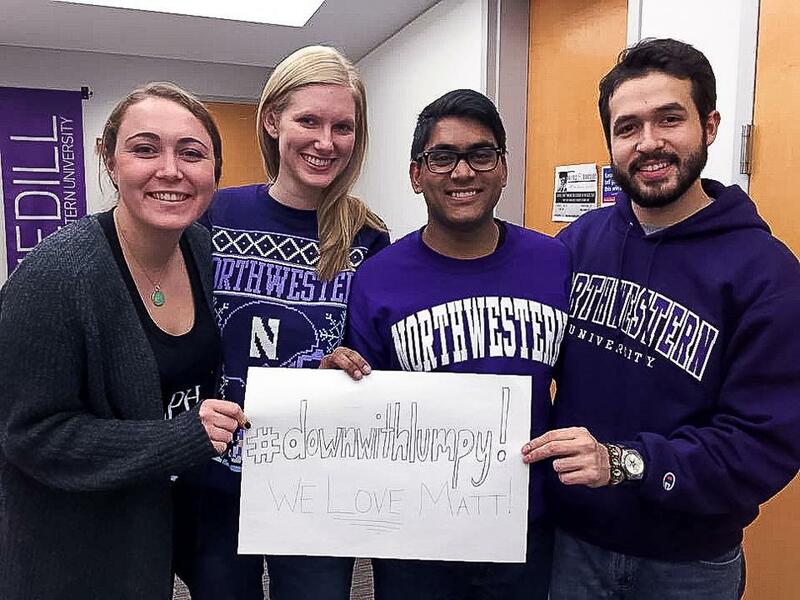 So many of my former students–whether still at Medill or already graduated–soon reached out to offer their thoughts and prayers, and many even got on the #DownWithLumpy bandwagon. So maybe I’m just happy that my teaching career has not followed the thesis of that article. For my students, it becomes something more than just a required, weed-out class. It affords me the opportunity to share my values and expertise with some really stellar students. I give them a bucket and a shovel and tell them how cool sand can be. Eventually I get to watch them build castles. I can’t wait to get back to the beach.